Is this a real live animal from planet Earth, or is it thirteen Fraggles stapled together? THE ANSWER AWAITS YOU. Or, er, I told you in the headline. Anyway. 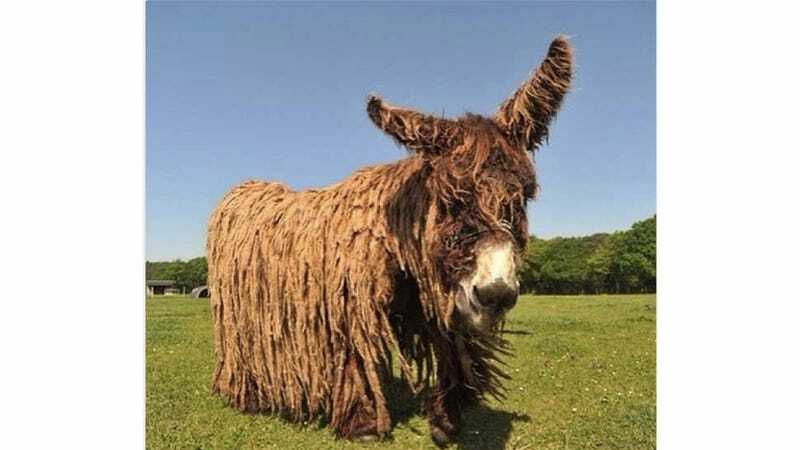 That's a Poitou donkey! He's French, he can grow up to 8 feet tall, and he MIGHT be made of three small children wearing a dirty old rug. Whatever is happening, it's clearly sorcery.